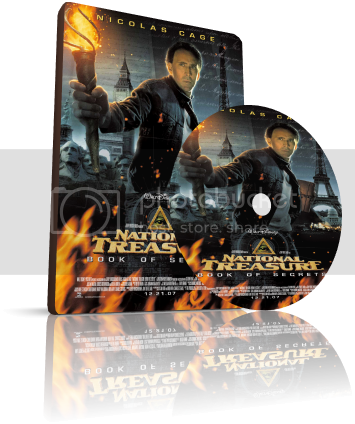 This movie was just released on DVD and is of course the Sequal to the first National Treasure. It's Rated PG and about 2 hours long. Me and my family watched this movie last night and I thought it was great! I think this one is actually better than the first, although I sat through it at one point when "the president" came into the picture and was just like... yea, that wouldn't happen! It was still quite enjoyable and I caught myself on a few occasions screaming along with the actors with all the dangerous suspense! It will have you on the edge of your seat! I give this movie 10/10!